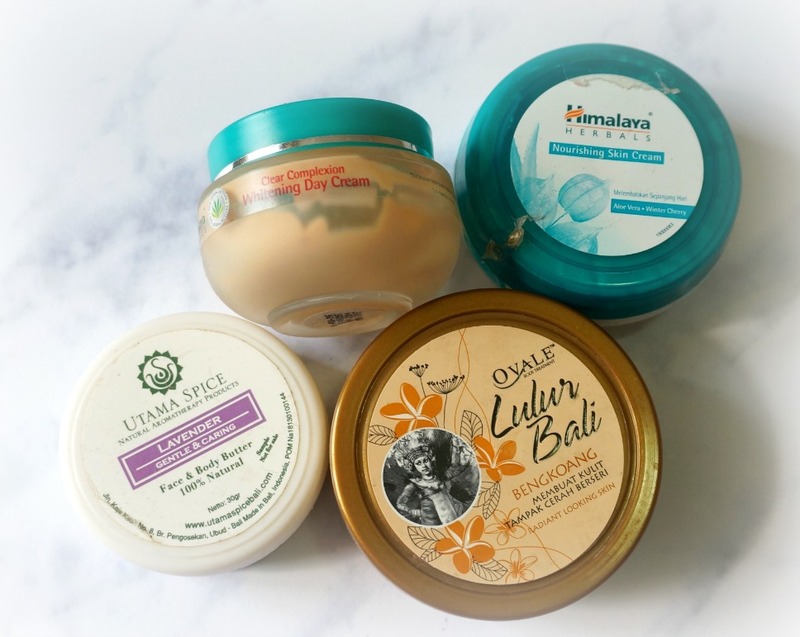 Finally I got to write my empties post for last month ! 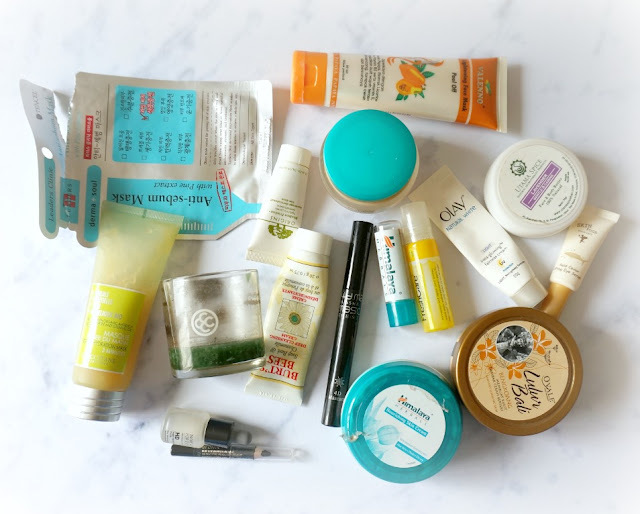 This Empties post usually include a rather long list of products so that's why I've been putting off writing it. 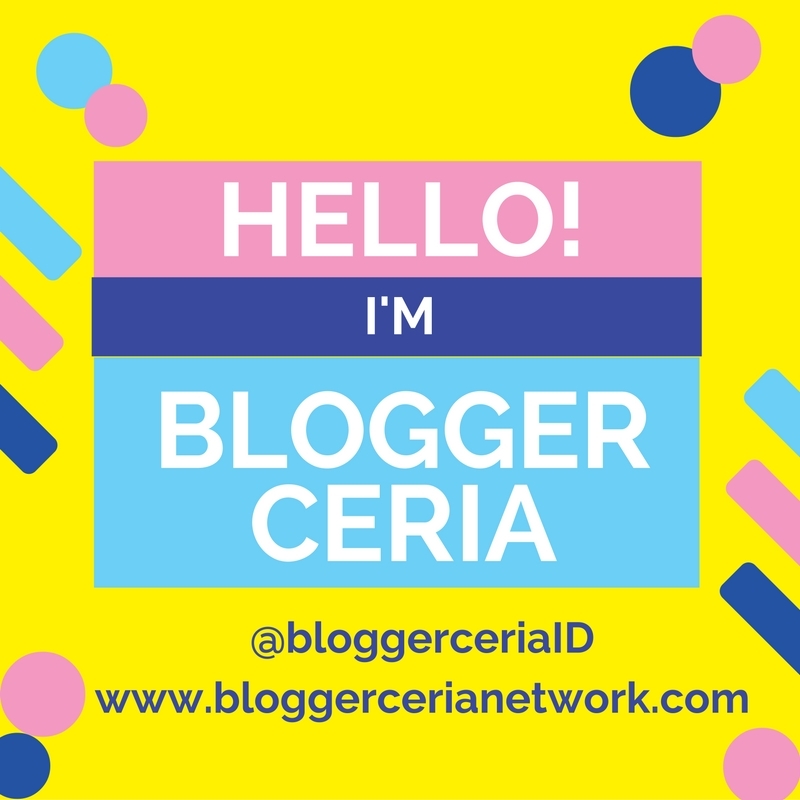 But today I finally set aside a few hours to write this post along with my February Favorites post. 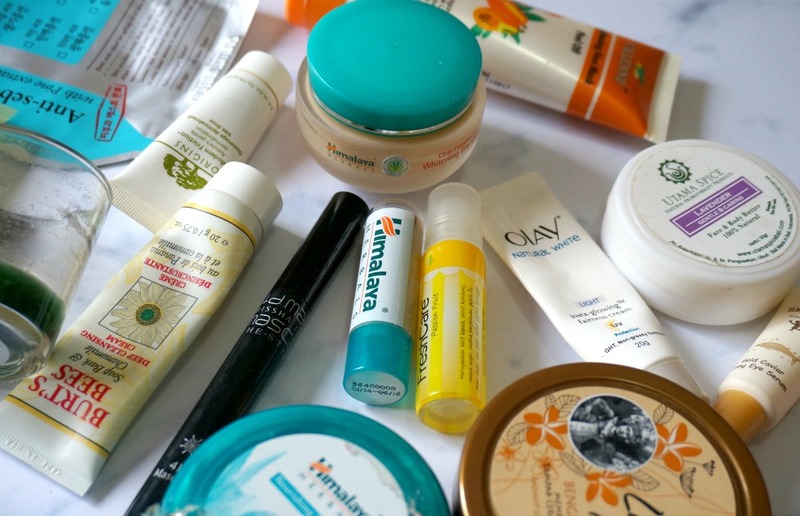 I'm quite satisfied with my empties for last month because I successfully finished quite a handful of products including some bodycare and skincare products, as well as a couple of makeup items. For me, body lotions and make up items are usually the longest to finish because I have a small face and I don't wear full makeup every day. I also don't use body lotions every day (only when I remember to use it), so yeah I got excited whenever I finished a body lotion or a makeup product (^_^). I diligently used up some skincare items last month. 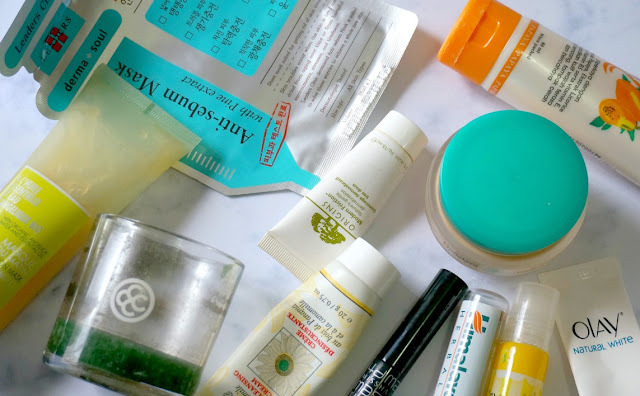 As you might have noticed, I'm slowly starting to change my skincare routine recently, so I was eager to finished all of my older skincare products while beginning to start the new routine with new products. 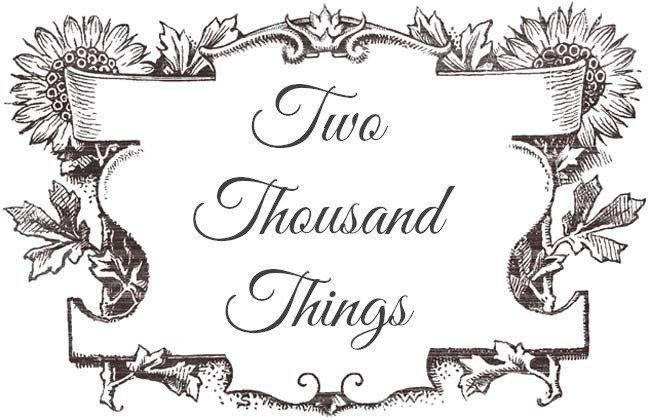 I began to start learning new things about skincare, and now I learned to pay more attention to the ingredients of the product that I use on my skin. So now I'm in the phase of slowly changing up my products into better ones that hopefully would benefit my skin even more. 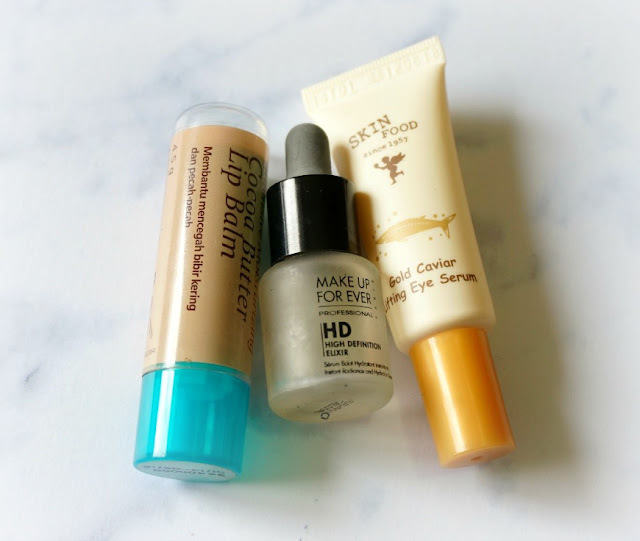 I also keep buying new skincare products for my new routine, so I need to use up my older products quickly before using the new ones - because I hate wasting products. This was my travel face wash. I always mention about the minty feeling of this face wash. If you tried it for the first time you must be aware that it would feel like putting on mint toothpaste all over your face, Lol. But I grew to like it although it took me by surprise the first time. After the shock, the minty feeling actually gave me a fresh feel and a clean face! 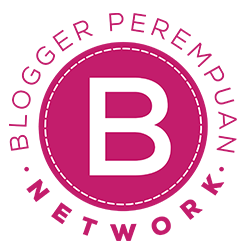 Read my full review including other Burt's Bees products HERE. I actually quite enjoyed using the papaya series from Valenno including this peel-off face mask. I hate peel-off mask so I usually take this off with the regular "water and wash cloth system" instead of peeling it off. It works fine and it makes my skin smoother and brighter after every use. Read the full review including other products from Valenno HERE. This was my travel face scrub. 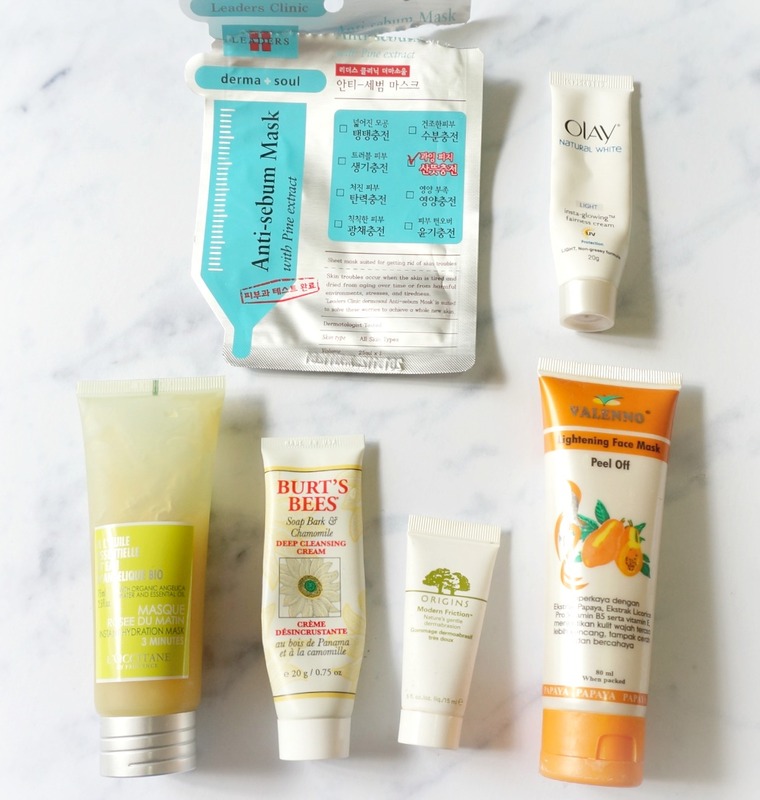 I love collecting trial or tavel size products because I usually have a stay-over at my parents or in-law's house on weekends, so I need to bring my travel size products every weekend. This is a face scrub with natural exfoliation properties. I don't really like it because I don't think it gives any significant changes in my skin. The scrub is a little bit harsh and it smells a little bit earthy (which I don't like) so it's not my favorite at all. This was my travel moisturizer for morning use because it has SPF properties in it. It's just a regular moisturizer that you can use every day. I never had any problems with Olay products, they don't break out my skin, and they don't make my skin looks oily and shiny. I think this is my first sheet mask with a unique texture. I love sheet masks and I have used lots of them from different brands as well, but nothing that comes with a unique texture like this one from Leaders Clinic. It has a thick and slightly-raised texture which still feels comfortable sitting on my face despite the "rough" texture. This Anti-Sebum mask is infused with Pine extract and it smells lovely and feels lovely too. The after effect is very soothing and controls oiliness on my face. Will definitely try another variant from Leaders Clinic sheet masks. This is the one that already passed its expiration date. I found out about it when I want to use it one evening, then I accidentally saw the exp date and it was already expired just a couple months ago. I thought I can still use it but it already smells different so I skipped it and sadly threw it to the empties bin. I'm quite sad to find out about that because it is one of my go-to hydrating mask whenever I need a quick instant face hydration. You can read my review including other products from the Angelica series HERE. I wanted to like this one but it seems there are too many reasons not to. At first I thought it's gonna have cocoa scent which I would have like, but no it doesn't have any scent at all (at least to my nose it doesn't smells at all). The stick is also too stiff and the formula dries out quickly, so it's not as moisturizing as I hope it would be. This is definitely not for those with dry or super dry lips. I like the light formula of this eye serum but I don't think it gives anything to my under-eye area, instead it gave me milia (sigh). I won't recommend it if you have normal to combination skin like me, or if you have oily under-eye area. This was my daytime moisturizer. I kinda like it because it didn't leave me feeling greasy and it also didn't interfere with applying my makeup afterwards. It also controls sebum quite well although I would still get the occasional shiny nose and forehead after a few hours on a hot day. But overall it's a good moisturizer for normal-combination skin. Read the full review HERE. This was my night time moisturizer. Although this is not particularly meant for evening use but I prefer to use this at night because of the thick formula. It's too heavy for day use. It's very creamy though so I can imagine this would go well for those with dry skin. Normal/Combination skin like mine can only use it at night because of the thicker formula. This is a natural product from a local Balinese brand. I'm not really a fan of lavender scent but this one is okay, although I found the texture is too thick for my normal-oily skin. But then again body butters are always a "hit and miss" with me because they usually have thicker formula than body lotions. Some of them do have thinner consistency such as TBS Olive body butter which I can use, but sadly this one from Utama Spice is not one of them. It's too sticky for my skin. This is a body scrub from a local brand that I ever truly love. I've tried other body scrubs from various local brands before but this Ovale body scrub really stands out among others. I like the formula and texture of the smooth scrubby lotion. This can be used dry or wet, and the texture is not too harsh yet not too gentle so you can still feel it sloughing away those dirt and dead skin cells. They come in various scents with nice packaging. I have three variants of them in my bathroom and each of them smells very nice and lovely. I love this mascara especially for the lengthening effect. This really makes my lashes noticeably longer so it opens up my eyes for a bigger and brighter effect. I've tried a couple of Missha products already and I think I love the brand because now I remember that I always love every Missha product that I've tried. I must purchase and try out other Missha products soon (^_^). 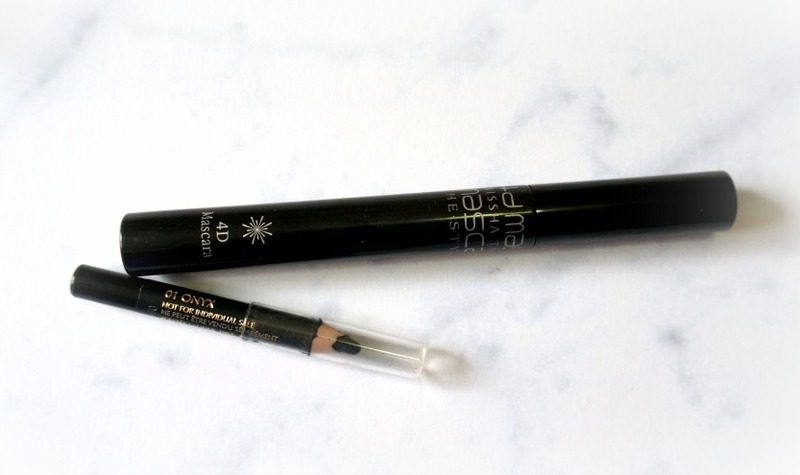 You can read the full review of this Missha mascara and Missha eyebrow styler HERE. One of the products that doesn't go as advertised. I had this for a very long time and can not finish it much faster because I hate using it so I often just neglect it. The tip is too thick so it's hard to make thin line. It also smudges easily and make racoon eyes in just a couple hours. This does not stay-in-place at all! I used this aromatherapy roll on very frequently because I can not stand the smell of traditional herbal-medicinal oil such as minyak kayuputih etc. So I stick with these scented aromatherapy roll-on instead. This Passion Fruit Roll-On smells very refreshing and is one of my fave scent from Fresh Care. 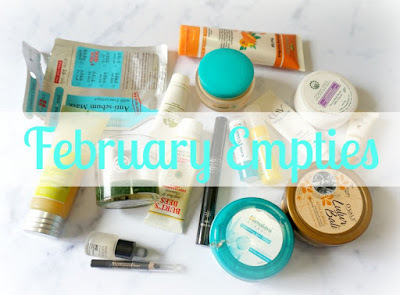 To see my previous January Empties post, click HERE. 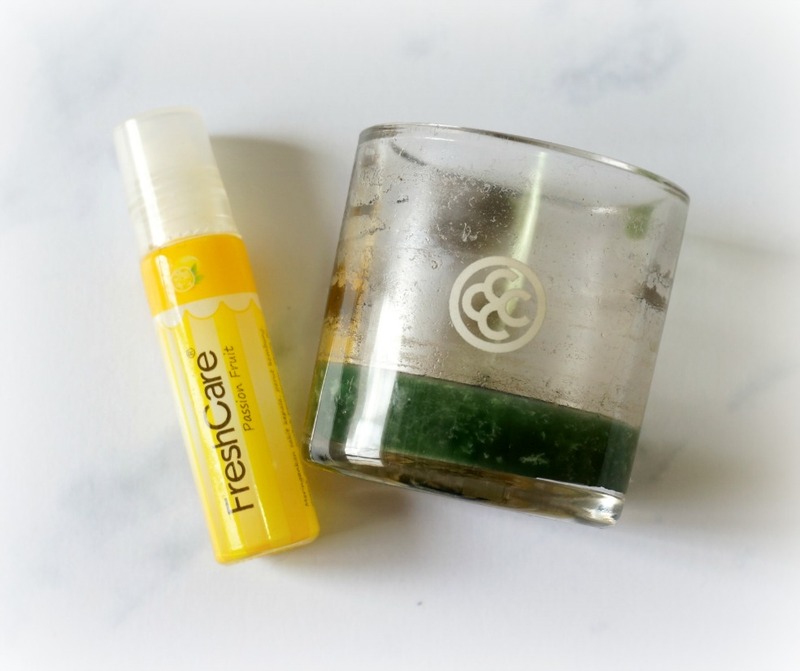 Try an eye gel! The skinfood one might've been too heavy/thick/moisturizing for your under eyes. :) Or those watery eye creams.